The skipjack Nathan of Dorchester is owned and operated by the Dorchester Skipjack Committee, a small, all-volunteer, nonprofit organization. We welcome new volunteers, especially those who enjoy multi-tasking and who bring a variety of talents to share! The skipjack Nathan of Dorchester is a U. S. Coast Guard inspected and certified commercial passenger carrying sailing vessel, which we operate safely and to the highest professional standards. 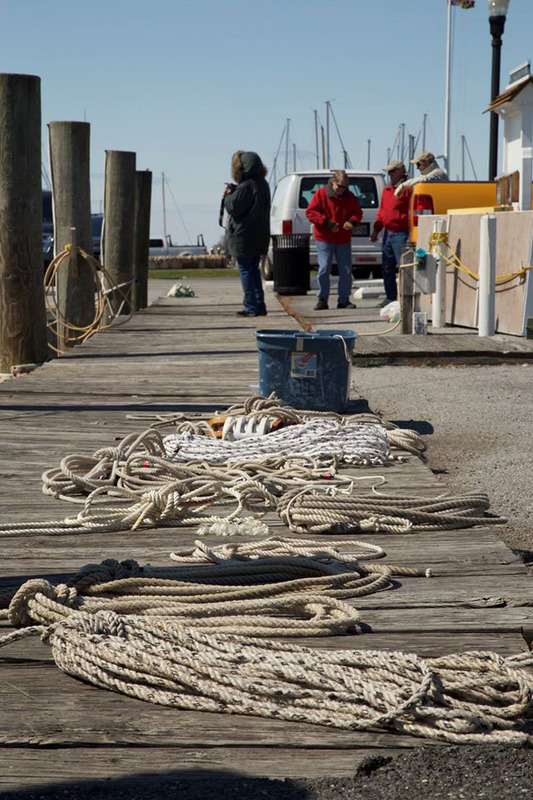 We are dedicated to keeping alive the rich maritime history of the skipjack and to preserving the skipjack Nathan of Dorchester so future generations can experience the fast disappearing life of the waterman on the Chesapeake Bay. As a small group of volunteers, we work on, under, and above the boat (training, carrying passengers and maintaining our wooden boat) and we also work away from the boat doing administrative and marketing tasks so the Nathan can sail. Volunteers of all ages, with an interest in sailing or preserving the cultural maritime heritage of the Eastern Shore are encouraged to join us. The Nathan of Dorchester sails over 80 times a season between April and November, so there are many opportunities to sail. We offer an extensive training program for all our volunteers, so prior sailing experience is not necessary. All new sail crew volunteers are thoroughly trained in all aspects of sailing a skipjack before joining experienced crew carrying passengers. Sail crew trainees must be 16 years of age or older and fit enough to handle the significant physical demands of the vessel. New sail crew trainees generally are accepted from March through mid-summer, but if you are interested, let us know at any time so that we can get you into the training schedule whenever possible. Classroom training begins in March and moves to the boat in early April as we get the Nathan ready to sail. New volunteers progress through training at their own pace and as it fits their schedules, but can achieve full crew status more quickly if they can commit to more training days. Sail training emphasizes safely operating the boat under all conditions and on working with other crew members. We have standard ways to do things from helmsmanship to handling sheets to “tying knots the Nathan way” so everyone completes crew tasks the same way no matter who else is serving as crew at that time. It takes several months of participating in weekly sail training sessions to become a fully trained sail crew member. Sailing a skipjack is not for everyone and it is not like sailing modern vessels. Some of our best crew members had no prior experience on the water before they joined us! Because safe operation of the boat is most important, we require that everyone commits to learning how to do things the same way and to working together as a team. The way you do things on your boat is not necessarily wrong, but it may not be the Nathan way of doing things. Sail crew and captains are subject to initial and random drug testing and must meet minimum physical requirements, as confirmed by their physician. Everyone entering crew training will be evaluated after a brief initial trial period for acceptance into the program. Acceptance into the crew training program does not guarantee graduation to full crew status. 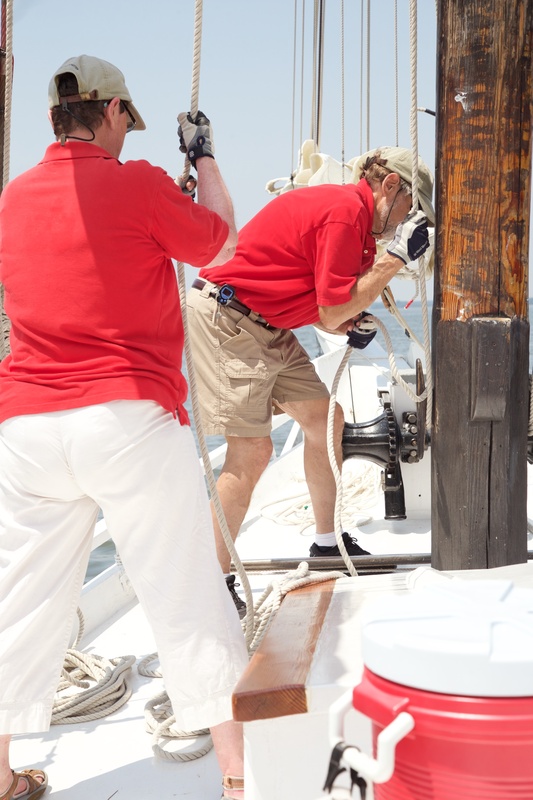 Docent crew members play a key role in helping our passengers enjoy their experience sailing with us. Docents receive special training in the maritime history and lore of oysters and the skipjack. Physical demands are less than required by sail crew but our Docents need to handle weather extremes and a diverse passenger clientele with, tact, a smile and good sense of humor. Sail crew members frequently also train also as docents. We require both sail and docent crew to be certified in first aid and CPR. We provide annual training to new volunteers and to crew whose certification is expiring. Captains must have a current 25 ton Masters License with Sail Endorsement and are required to train with our captains and crew prior to serving as captain on transits, training or passenger trips. Captains, sail crew and docents are the faces of the Nathan of Dorchester and represent the city of Cambridge and Dorchester County to our passengers and the public. As such, they represent the organization and act in its behalf in a courteous and professional manner. Wooden boats need lots of work and we need lots of help to do it. We take a week or so in the spring to rig, scrape, sand and paint the deck and cabins. 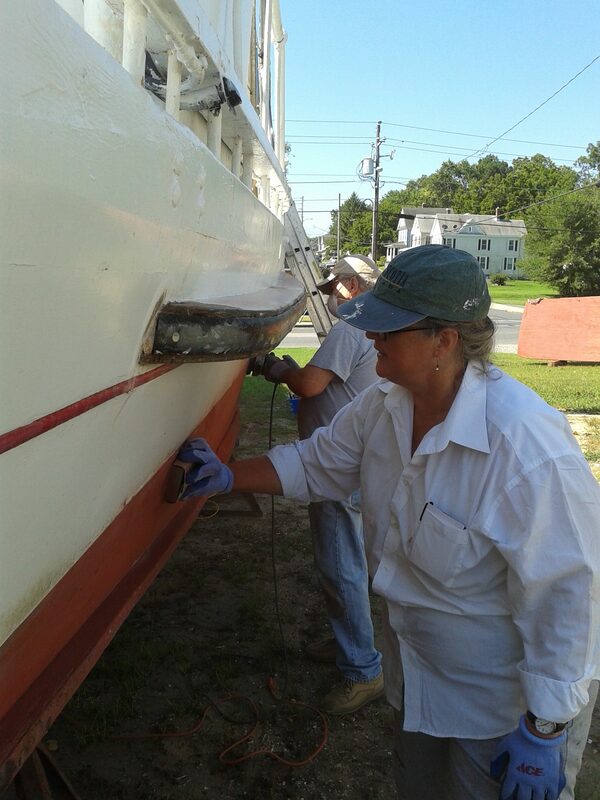 In mid-summer, we haul the boat out and do the same to her hull. In the late fall, we down rig and year-round, there are engine maintenance, rigging repairs and plenty of other tasks to keep those with an interest in wooden boat operations and maintenance busy. Even if you aren’t much of a boater, we can still use your help. If you have business and computer experience, you can help us book passengers, if you enjoy fundraising or staging special events, or if you would like to help with individual projects for a worthwhile nonprofit organization, we would welcome your help. 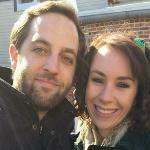 Click on the link do download a new volunteer application and send it to info@skipjack-nathan.org. We will then contact you.